SUMMARY: By learning how tooth removal impacts development of bad breath, you can help prevent it from occurring. Getting your wisdom teeth removed is no one’s idea of a good time. At best you’re looking at a local anesthetic and enough pain afterward to put you out of work for a day or two. At worst? Getting put under a general and being sent home with painkillers. Either way, you might find yourself suffering from unexpected side effects. Bad breath, for example. Seems a bit unfair doesn't it? You've already had to go through literally having teeth pulled only to be saddled with bad breath after? It is a bit unfair. But by learning how tooth removal impacts the development of halitosis, you can help prevent it from occurring. 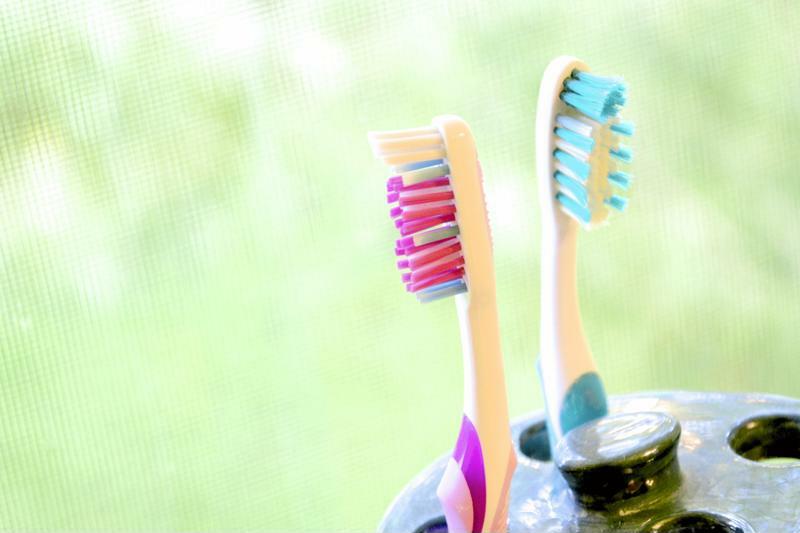 "When you have your teeth removed, your ability to keep up with good oral hygiene is limited." Bad breath is caused by the growth of certain anaerobic bacteria within the mouth and throat. These microorganisms feed off bits of leftover food, diseased tissue, phlegm, and blood in your oral cavity. As they feed, they produce chemicals known as “volatile sulfur compounds” as a side effect. These chemicals make up the majority of the smells you associate with bad breath. But why this be a particular problem after having your wisdom teeth removed? According to the New Health Guide, there are several reasons. When you have teeth removed, including your wisdom teeth, your ability to keep up with good oral hygiene is limited. You can't and shouldn't brush with the same intensity that you're used to. In addition, you have to give the back of your mouth a wide berth or risk reopening the surgical wounds. Flossing? Forget it, at least near the surgical site. Speaking of that surgical site, it will continue to bleed even as it heals, providing food for the bad breath bacteria just when you can’t fight back against them. On top of these factors, you'll likely be taking medications for pain. While this will make you more comfortable, dry mouth is one of the most common side effects of pain medication. Oxygen-rich saliva is the mouth’s natural defense against bad breath bacteria, so even your natural defenses might be failing you when you need them most. Toothbrushes are too damaging to be used right after wisdom teeth removal. With this seemingly perfect storm of factors, it's all right if you feel a little daunted. Don't worry, you have the power to fight back against this bacteria growth. While brushing and flossing are temporarily on hold, you still have another tool in your arsenal: mouthwash. You shouldn’t be using an alcohol-based mouthwash in general, as it dries your mouth out. However, with your mouth already dry from pain meds and super sensitive from surgery, you particularly should not be using an alcohol-based mouthwash now. Instead, get an alcohol-free mouthwash that uses oxygen to directly attack the bacteria that cause bad breath. Our TheraBreath Fresh Breath Oral Rinses contain oxygenating compounds to attack bad breath bacteria without the burn of alcohol-based mouthwashes. We also have specialty oral rinses to help with dry mouth and gum health during your time of recovery. If worst comes to worst and you're unable to obtain quality mouthwash, gargling with salt water at least twice a day can be helpful. Just be sure you don't swallow any of it. Tools like our HydroFloss can also be useful as long as you avoid directly spraying it on the wound site. If you have to drink anything that isn't water - use a straw. This will help the liquid, which may contain sugar and other substances, bypass your teeth completely. The idea is to limit the amount of bacteria food sources by as much as possible. No food - no growth. With luck, any halitosis you encounter as a result of removing wisdom teeth shouldn't last more than a few days. Just kick back, relax, and use the time to catch up on that show you’ve been meaning to marathon.